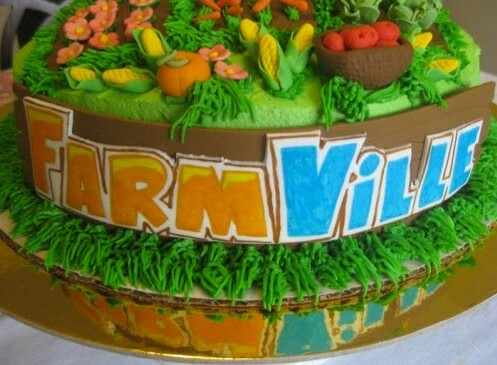 FarmVille-inspired foods are nothing new, but it's rare that a team of cake builders like those found on Cake Boss create a farm-themed cake. FarmVille Freak has found one of the most delicious-looking FarmVille cakes I have ever seen created by Fiesta Fun Cakes in Puerto Rico. 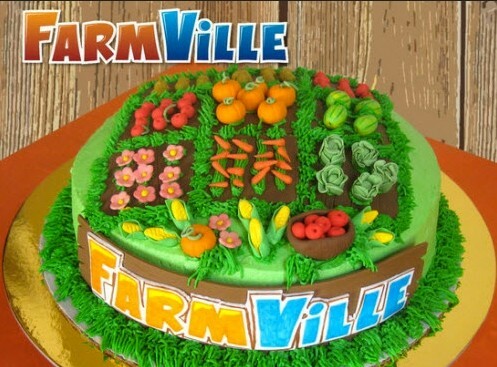 The cake features many of the crops found in FarmVille like pumpkins, carrots and the ubiquitous Strawberries. Fiesta Fun Cakes even got the FarmVIlle logo on the plank of wood just right. It's almost lunch time on the East Coast, so we're already thinking about food. But thanks to this crop-filled cake, many of us are likely one step ahead: dessert.